The Tropic Isle is a favorite among those that retire in Florida. The home has a huge living/great room area and allows for privacy between bedrooms. 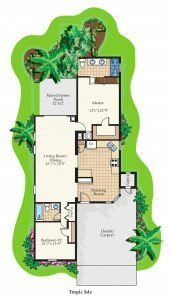 Lets face it, when you live in Florida, people love to visit you and this floor plan aids in keeping some space. The home features a huge walk in closet, spacious kitchen with a breakfast area as well as a double driveway. 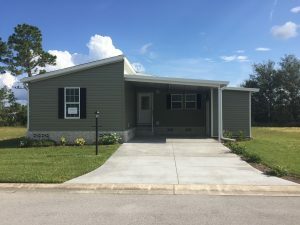 The home is constructed with upgraded insulation and energy efficient windows to keep those electric bills down. 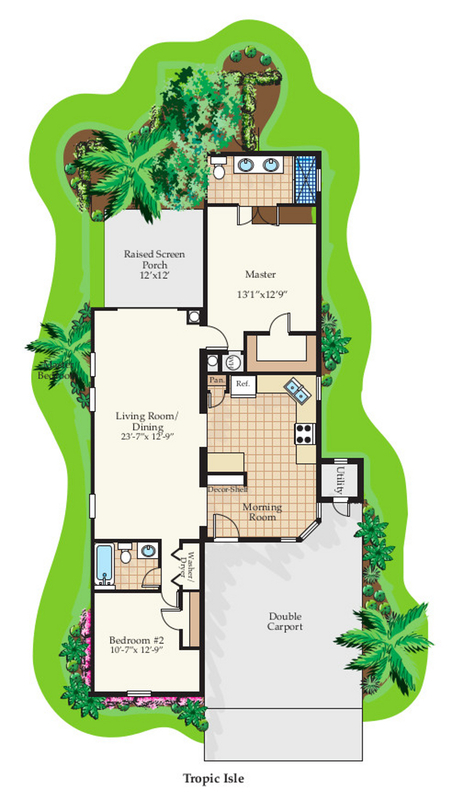 The Tropic Isle is the ideal 2 bedroom, 2 bath to soak up the Florida sun!